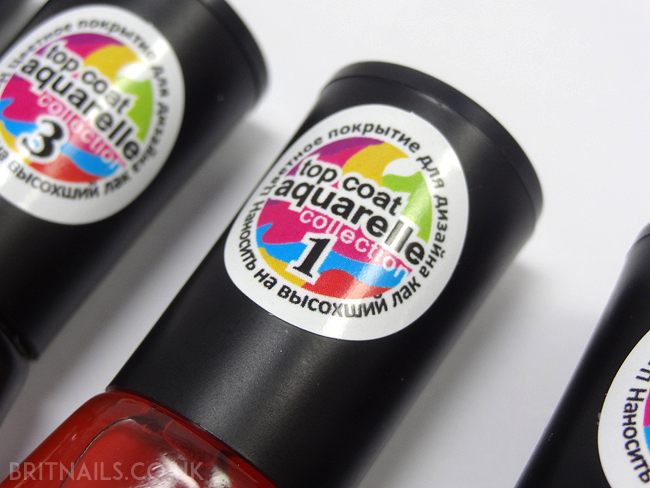 Aquaralle is a large collection of shades with 12 available, so there's potentially a big colour pallette to play with. I received 4; Picasso (pink), Chagall (purple), Matisse (orange) and Sisley (blue). They look quite dark in the bottles, but they're nice and bright when applied over a white polish. I tried the Leadlight technique, which I first heard about from Messy Mansion. 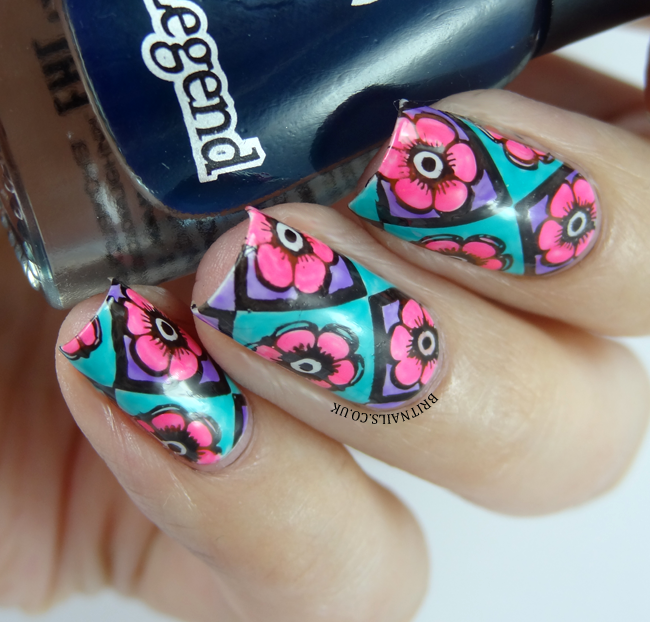 It involves stamping an image onto your nail over a white base, and painting over the design with sheer colours to create a stained glass style look. There's a great tutorial here if you want to know more. I started with a base of OPI My Boyfriend Scales Walls, then I stamped an image from MoYou London Pro Collection 03 (XL) using a-england Camelot. I used Picasso, Chagall and Sisley from the Aquarelle collection to paint over the sections with a nail art brush, resulting in this super colourful look! The thin, sheer formula means the colours won't show up over the black pattern. There's endless possibilities with this technique, I'm already thinking about adding more colours to my collection! 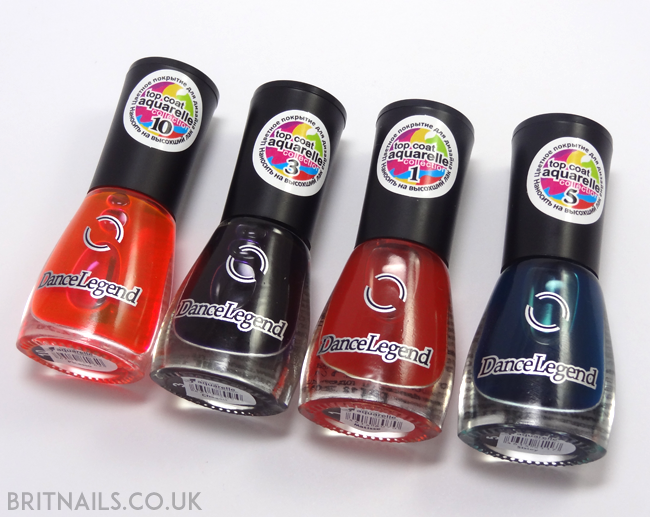 - The Aquarelle collection is available from Rainbow Connection in the UK, priced £8 each. 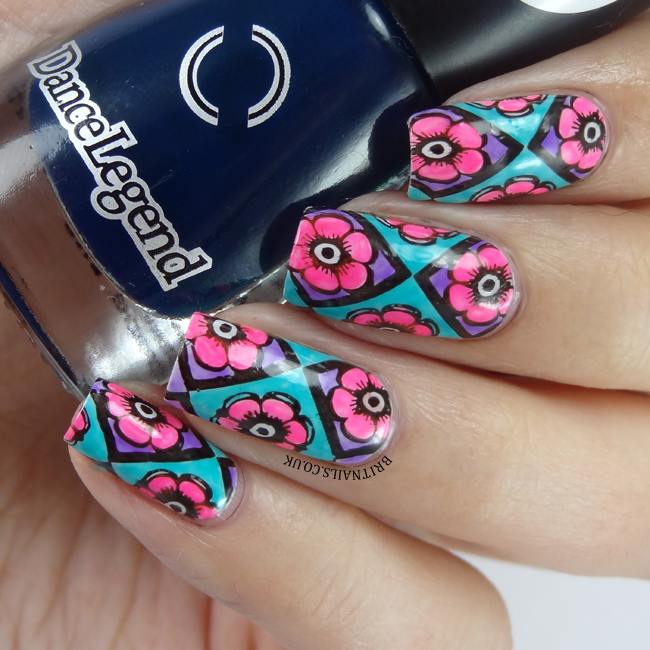 Oh wow, awesome nailart! I didn't think i would ever like those sheer tints, but i'm in love now! Amazing nail art!!! 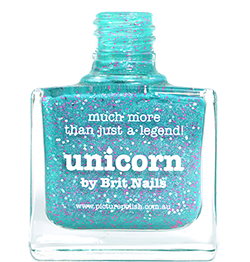 Makes me want some of the tinted polishes! !